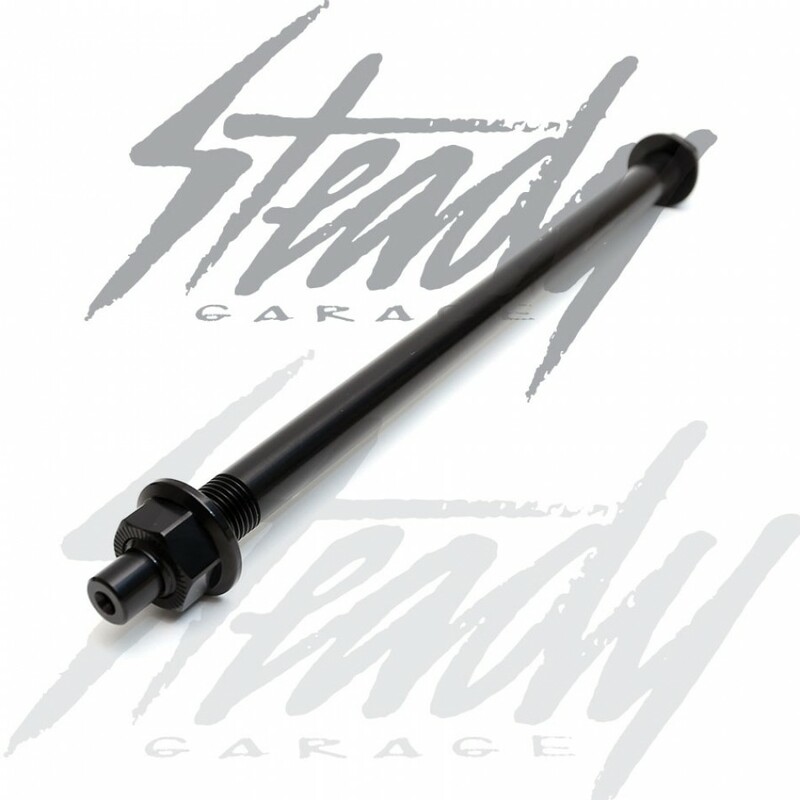 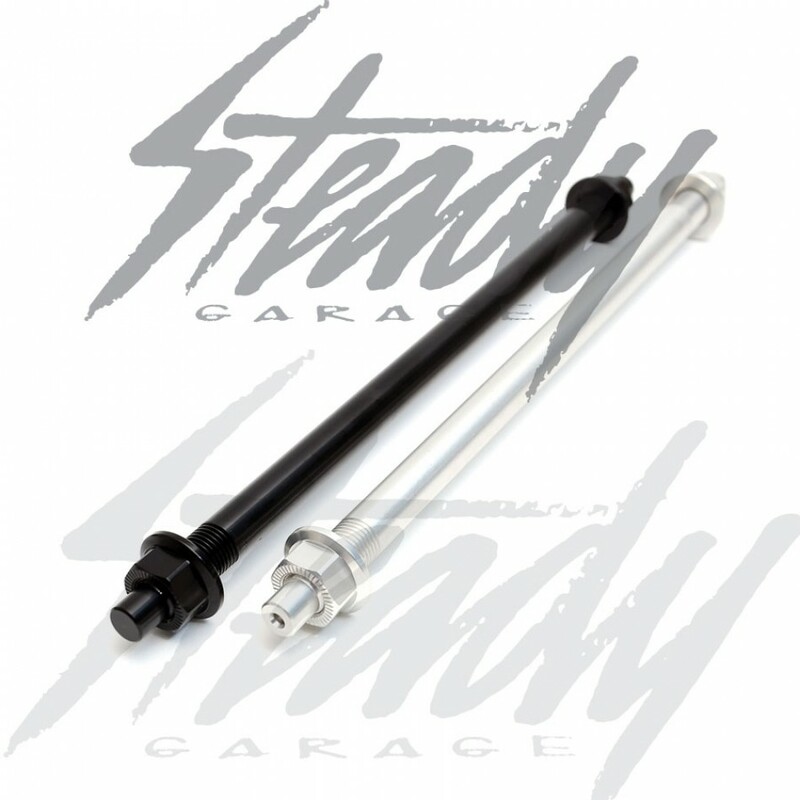 Feign Honda Ruckus 12mm front axle. 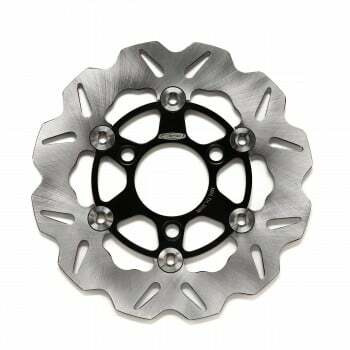 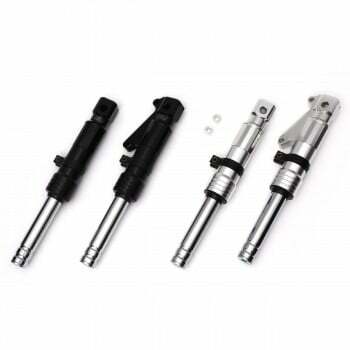 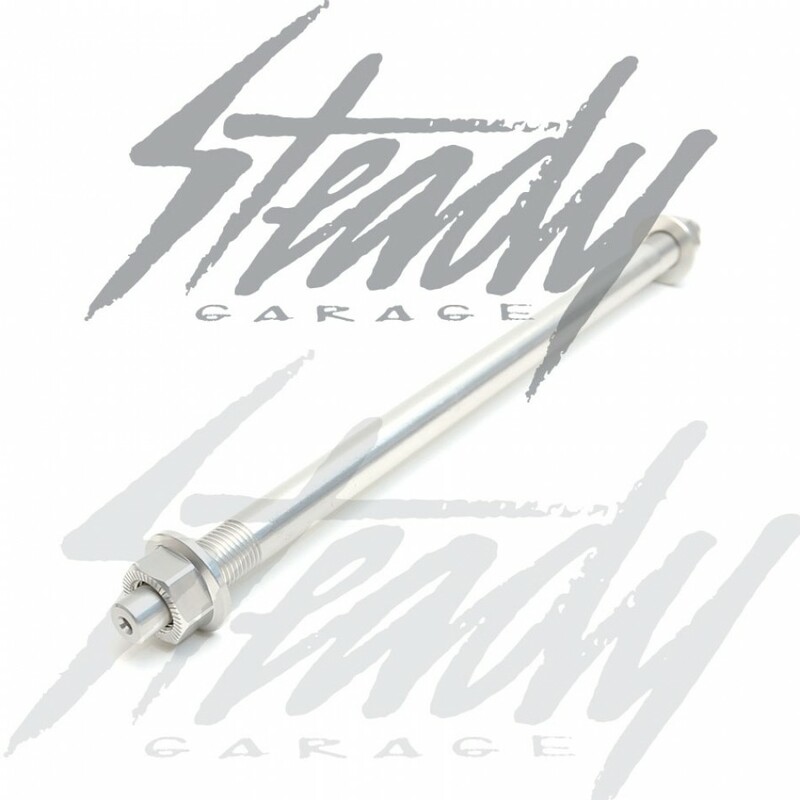 Made from T-7075 aluminum, stronger than any other aluminum axles that are made from T-6061! Feign T-7075 front Honda Ruckus axles are perfect to be used with any 12mm forks, hubs, or front rims. 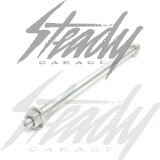 Available in simple black or silver color!